This smoothie tastes like summer in the south! Peaches were my favorite fruit when I was growing up in Texas. My sister and I would climb up our peach tree and pick as many as we could. 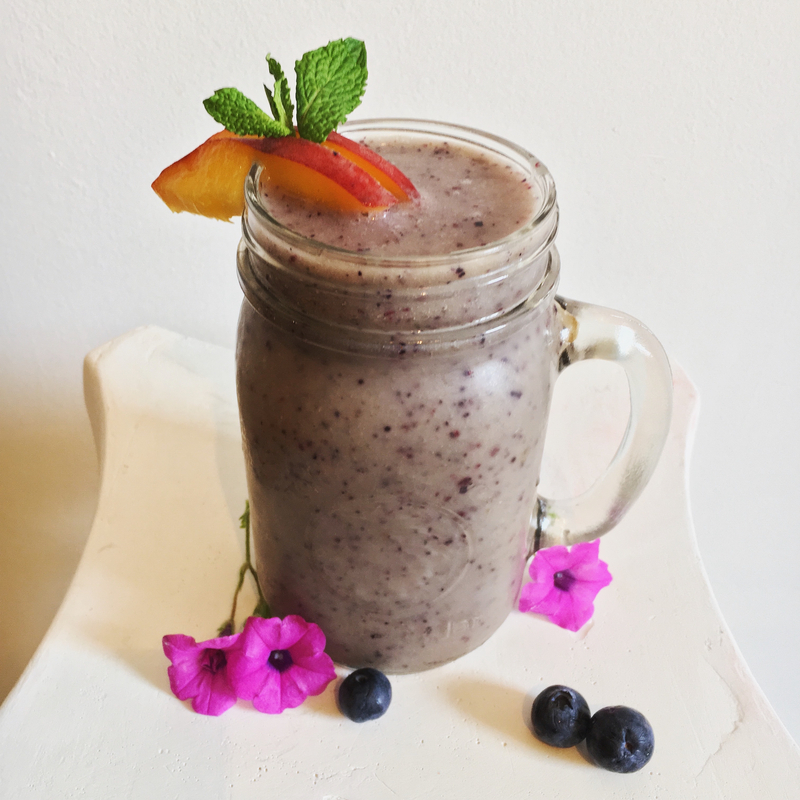 To be honest, I don’t remember my mom ever making anything out of all the peaches because I’m pretty sure we would eat them before climbing down ;) This smoothie blends the sweetness of peaches with the tartness of blueberries and a refreshing twist of mint. Enjoy! Slice up those peaches and toss them into your blender with the rest of the ingredients.